39th day of Sentsov's protest: Moskalkova called fasting of political prisoner "curative"
Russian Ombudsman Tatiana Moskalkova said that the Ukrainian political prisoner Oleg Sentsov is on "curative fasting." She noted that Oleg Sentsov did not lose weight, but on the contrary - gained some. 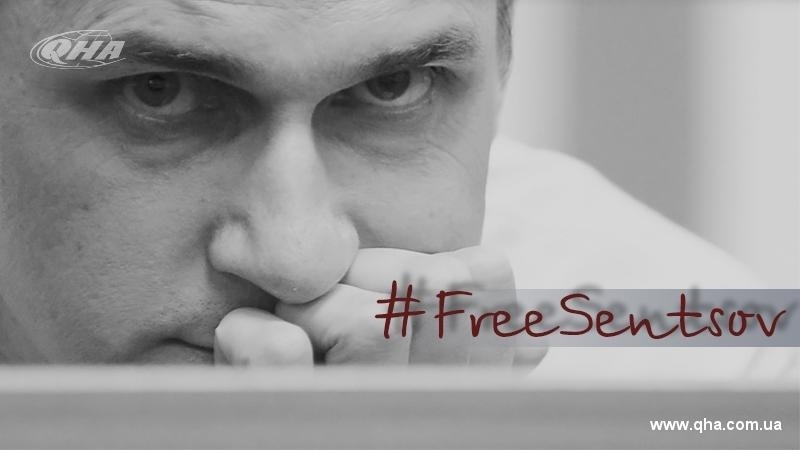 “Sentsov did not lose weight, he even added a few pounds. Some wrote that his teeth fell out, or that he even has scurvy - this is not so, his teeth are in their places. He shaved his head, but looks good. He receives supportive therapy: vitamins, glucose, proteins. And receives it on his own consent. That is, he is actually on curative fasting. And a hunger strike, a protest, well, it is his legal right," Moskalkova said. According to the Russian Ombudsman, the Ukrainian filmmaker is under her special control and he is visited by a local Ombudsman for human rights. Earlier, the Verkhovna Rada of Ukraine Commissioner for Human Rights Lyudmila Denisova said that Oleg Sentsov can be forcibly fed. The Ukrainian Ombudsman appealed to the Deputy Minister of Justice of Ukraine Ivan Oreshnikov with a request to make a statement on the violation of the rights of the Ukrainian filmmaker to the European Court of Human Rights.